When responding to a text message on Apple Watch, you are offered the option to use Default Replies, animated emoji, or dictation. By default, the dictation option will allow you to either send a speech-to-text transcription or an audio message. Audio messages were a new feature of iOS 8, but they never really took off for me. I’d just rather send a text message. 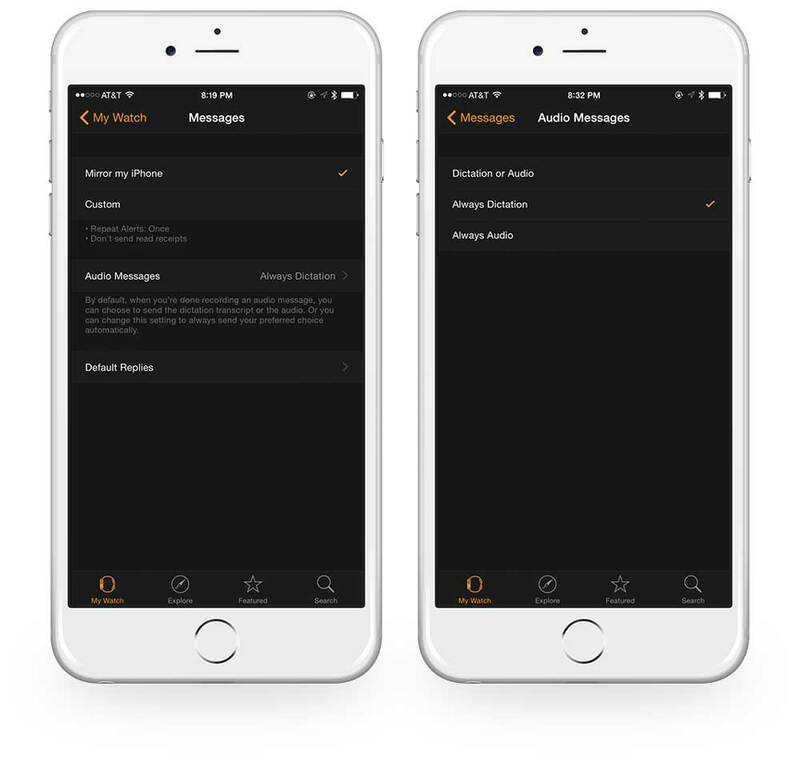 Apple Watch allows you to choose how these messages are handled by going to Apple Watch.app → Messages → Audio Messages. Dictation or Audio: This allows you to decide which one you will choose on each outgoing message. Always Dictation: This will force Apple Watch to always use speech-to-text (my personal default). 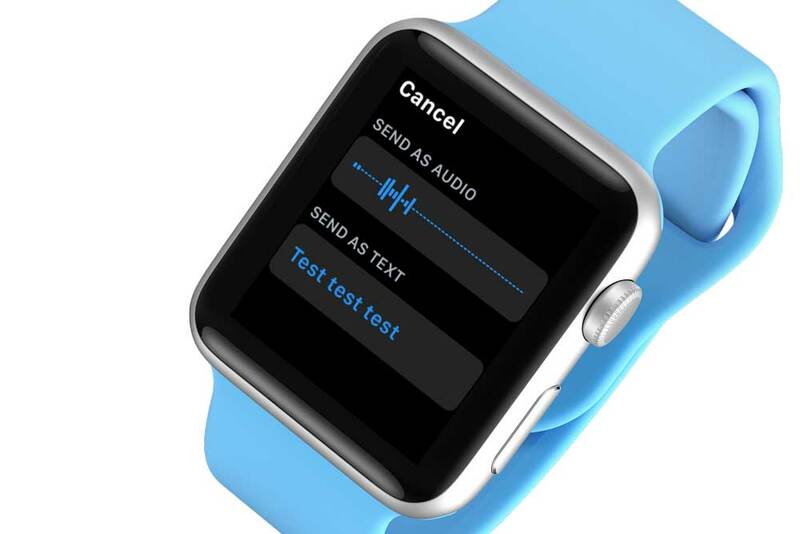 Always Audio: This will force Apple Watch to always send an audio message. Depending on your preference, you can further customize Apple Watch to work exactly how you want.